Japan is a country located in Asia and consists of several Islands. 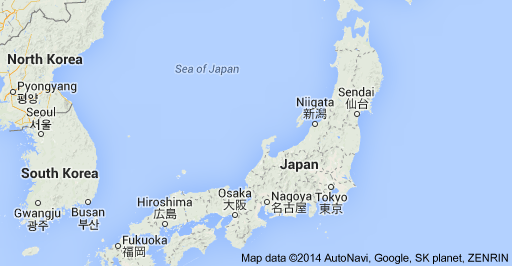 The major islands include Hokkaido, Shikoku, Kyushu, and Honshu. Thus, the country is not directly neighbored by to any country since it is located on the Pacific Ocean. However, its closest neighbors include Russia, Korea, and China (Castells 98). Geographically, Japan land consists mainly of mountainous topographies and forests. Eritrea is a country located in the eastern parts of Africa bordering the Red Sea on the northeast. Eritrea is bordered by other countries such as Sudan on the west, Ethiopia on the South and, Djibouti on the south east. Eritrea covers a total land margin of 1, 626 Km as well as a coastline strip of 2234 Km (Castells 132). Its capital City, Asmara, is situated at the middle of the country. Archeological experts point that Japanese islands have been inhabited by Paleolithic humans since ancient times that comprises the current Japanese populations (Gooren 54). Eritrea on the other hand had seceded from its former state Ethiopia. In 1900, colonial boundaries between Eritrea and Ethiopia was defined, which left Ethiopia a landlocked country. The population of Japan is approximately 125,000,000, including two million foreigners while Eritrea has a total population of about 5,000,000. The population of Eritrea consists of mainly young people. At least 45 percent of the total population is individuals aged below 5 years while 3 percent are individuals of over the age of 65 years. Similarly, Japan has a high population of young people, but slightly lower than that of Eritrea in terms of the percentages. Eritrea’s population mainly consists of native citizens and a few foreigners while Japan has a high population of foreigners. A total of 2 million of Japan population consists of foreigners of which more than half are of Korean descent (Calder 30). In both countries, population growth rates are high due to the high populations. However, Eritrea has a greater growth rate than Japan whose family sizes have averaged a total of 2 children per family in the last decade. The major languages of Japan originate from two ancient languages of the Japanese. These include the Japonic languages and the Ryukyuan languages. These two languages originate from the traditional languages of the Japanese (Calder 31). Eritrea does not have official languages due to the prevalence of several ethnic languages. The two official language of Eritrea include the Arabic and the Tigrinya languages. The local languages spoken in Eritrea include Amharic, Afar, and the Kuhama. A major difference between the languages of the two states is that Japan is dominated by indigenous languages while Eritrea is dominated by foreign languages. In addition to the languages, sign language is widely practiced in Japan compared to Eritrea especially because Japan has a high population of foreigners who do not understand the Japanese language. Japanese traditional languages include Buddhism, Confucianism, and Shinto (Andreasen 67). On the other hand, Eritrean religion includes the Sunni Muslim, which takes up an approximate share of 50 percent, the Orthodox Church, the Eastern religion as well as the Roman Catholic denomination. Other denominations in Eritrea are the Evangelical church, the Seventh day Adventist, and the Jehovah’s Witnesses. However, Hindus and Buddhism exist in some regions. Thus, the religious comparison of the two countries shows that Eritrea has a higher composite of denominations as compared to Japan. However, since the start of the mid-19th century, Christianity was introduced in Japan, although its penetration remains at relatively low rates. In Japan, religion is defined by individual interest and all religions are distributed across the country. In Eritrea, religion is practiced along tribal lines. For example, the Tigrinya language groups are predominantly Orthodox believers while the Nara, Afar, Blen and Beja are mainly Muslims. Among the Kuhama descendants, at least 50 percent practice the Roman Catholic (Bathgate 200). The religious tolerance levels in Japan are relatively good while in Eritrea, intolerance of some religious views in some regions is witnessed. For example, Jehovah’s Witness receive a lot of social discrimination from other denominations such as the Orthodox Church as well as the government. The Jehovah’s Witness refusal for inclusion in the social service has been considered by the government as unpatriotic and this has increased its censorship by the government. The Japanese people have a great value for acquisition of education. The literacy levels in Japan are relatively higher compared to Eritrea. At least 98 percent of the Japanese populations have basic literacy, which includes ability to read and write. However, the literacy rate in Eritrea is about 69 percent for men and 48 percent for women. The education system in Japan emphasizes on the development of basic technical industrial skills (Calder 56). To facilitate the acquisition of basic elementary education, the Japanese government has intensified free and compulsory six grade educational level system. Also, the Eritrean government has introduced free and compulsory education for school going children between the ages of 7 and 14 years. The Japanese education system consists of basic six grade elementary school system, three grade high school system, and college or university education system. In Eritrea, the education system consists of a five year elementary education system, two years in junior secondary school system, and another four years of schooling in the senior level secondary school system. Upon completion of the senior secondary school system, the student may join a technical or a university school system. The Japanese have relatively high living conditions compared to the Eritreans. These includes the health status, per capita incomes, maternal, and life expectancy rates. Japan has the highest life expectancy in the world and this is evident in the number of its old individuals compared to the young individuals. The use to the Japanese herbal medicines as well as the traditional foods have enhanced the health of the Japanese. Eritrea has relatively lower life expectancy rates due to the underdeveloped health systems and low income states (Turton 31). The rates of maternal deaths in Eritrea are relatively high due to inadequate support for maternal health by the government. However, in both countries, housing is of great challenge, especially in major urban centers, due to the high population of settlement of people in such regions. The Japanese has a great affinity to television as the source of entertainment. Other forms of entertainment include classical western style music and the famous Karaoke songs. The Eritrea also has great affinity for television. However, the coverage is relatively low due to the underdeveloped power systems and low living standards. The television coverage in Eritrea is approximately 53 television sets for a population of 1000 people. Other forms of media in Japan include newspapers and electronic mails. Internet usages are also very high in Japan. In Eritrea, newspapers are relatively used despite the huge censorship by the government. Private ownership of broadcast media is prohibited by the government in Eritrea (Woldemikael 181). Internet and electronic mail usages in Eritrea are also lower than that of Japan. While almost a third of the populations of Japan own a computer, an estimated rate of 3 personal computers is shared by a population of 1000 people in Eritrea. Thus, Internet connectivity and usage is relatively low in Eritrea. In Japan, the government allows both private and government ownership of newspapers. In Eritrea, private ownership and printing of newspapers is prohibited by the government (Addison 112). The Japanese climatic conditions vary in different locations due to its large extension in the North and Southern parts with unique climatic conditions. The climate of Eritrea varies along smaller margins and this is determined by the yearly seasons rather than the locations. In Japan, climatic conditions range from sub tropic and temperate conditions in the major cities such as Tokyo (Castells 141). These climatic states are determined by the four seasons. During early summer seasons, the climatic conditions are mainly hot and humid. The northern islands of the Sea of Japan and the Hokkaido are relatively cold for the better parts of the year. In Eritrea, hot climatic conditions dominate most parts of the country especially in the Danakil Depression of Denkalia Province The central Highlands are relatively wetter and colder while the western parts are mainly arid and semi-arid. Traditionally, Japanese governance was comprised of emperors who enforced rules and regulations of the people. Following the event of the Second World War, reforms were initiated to enhance the adoption of democratic systems. Currently, the governance structures consist of parliamentary democracy systems that are linked to the British democratic systems. Also, Eritrea has a democratic system of governance, which consists of various political parties that contest on elections. For example, the Eritrean Liberation Front formed the first political party to launch the war for secession of Eritrea from Ethiopia (Phillipson 261). The Japanese system of governance consists of two legislative chambers which includes the House of Representatives and the Upper House. The two houses make rules regarding its foreign relations as well as the domestic affairs of the country. The industrial systems in the two countries also differ in terms of government interference and the nature of production. In Japan, the government has liberalized the industrial systems to facilitate industrial developments. In Eritrea, the government monitors the industrial systems and makes laws to guide their operations (Ellis and Gerrie 96). As a result, the industrial systems in Eritrea are at a lower developmental stage compared to Japan. The major exports from Japan include industrial, technological products such as machinery, cars, mobile devices and other industrial equipment. Eritrea has major exports consisting mainly of agricultural products since majority of the populations are subsistence farmers. In summary, the paper has examined the major contrasts between Japan and Eritrea in terms of various aspects such as governance structures, religion, media usage and languages. Japan is an Island country in Asia bordered by the Pacific sea while Eritrea is a country in the Eastern parts of Africa bordering the Red sea in the North East, Ethiopia in the south and Sudan in the West. According to the analysis, both countries have major differences due to their diverse cultural practices and economic states. For example, the Japanese have limited language groups and thus the cultures of the citizens vary to a very small extent compared to Eritrea with diverse language groups. The political activities of the two states are dominated by democratic processes and the government is tasked with the responsibility of enacting rules and regulations that govern the operations of the states.